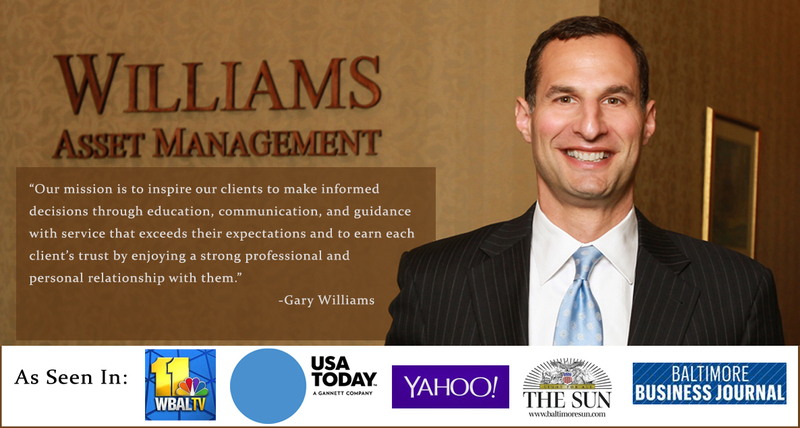 Founded in 1994, Williams Asset Management is a privately-owned financial planning and investment management firm located in Columbia, Maryland -- the heart of Howard County. We provide independent and comprehensive financial advice to a wide array of individuals, families and businesses in the Baltimore Metropolitan area and beyond. Our holistic and personalized approach to working with clients includes exceptionally-managed and tax-efficient investment portfolios coupled with guidance in the areas of retirement, tax, estate, insurance, and education planning. Through our partnership with Commonwealth Financial Network, our award-winning Research Team and Advanced Planning Team complement our staff in creating sophisticated investment strategies and comprehensive financial plans. The teams include attorneys, Certified Public Accountants and Chartered Financial Analysts (CFA®) whose knowledge and experience are instrumental in today’s complex financial world. To further exemplify the commitment Williams Asset Management has to their clients and the community, please view our Purpose, Mission, and Values Statement below. Executive compensation refers to the financial compensation and non-monetary benefits paid to management employees, including the CEO, CFO, COO, president, vice president, or managing director of a given firm.